The City of San Carlos is still the City of Good Living. There’s no place I’d rather be. The overwhelming majority of the city’s residents enjoy their neighborhood and their immediate neighbors. San Carlos is built around the idea of community, volunteerism and generosity. While I feel I have written many posts over the years praising San Carlos, it is also important to write posts on areas in which San Carlos could improve. Utopia does not exist in San Carlos or any other town for that matter. One new issue that has popped up with far greater frequency in San Carlos over the last two years centers on issues with neighbors. 1. Neighborhood Blight. It’s common in San Carlos. You will have a very nice street of well maintained homes and there will be one or two homes that seemingly don’t see the attraction in keeping up their property’s appearance, or perhaps cannot afford to. In any event, there is usually one or two on every block. The friction comes from homeowners who work very hard to maintain their home and feel that others are not keeping up their end of the bargain. These feeling are magnified when a well-kept home comes up for sale and potential buyers mention the distressed home as a reason they may not be willing to purchase or purchase at a particular price. 2. Construction. San Carlos has been in the middle of a construction/remodel boom over the last two years. Money is cheap right now, and building is way up in San Carlos. The simple bedroom or bathroom addition rarely causes problems. The 3,300 square foot home on a 5,000 square foot lot that now towers over the 1,200 square foot homes on either side of it: a problem. These new, larger homes can affect natural light, privacy and a host of other issues for neighboring properties. Neighbors who are not happy about the proposed plans can make life absolutely miserable for those trying to build or add on to their home, especially if the proposed project is subject to Residential Design Review Committee. 3. Loud Neighbors. Constant dog barking, neighbors making noise at odd hours, parties going well into the night and basically any other loud noise that takes place on a frequent basis without much consideration for neighbors. The occasional loud neighbor does not seem to be a problem. I have already apologized to many of my own neighbors for the screaming that took place courtesy of Gregor Blanco with two outs in the bottom of the ninth inning during the seventh game of the World Series. 4. Lot Lines. This is a big one. Many of the lots in San Carlos were originally divided over 80 years ago. Assuming fences are replaced every 15-20 years, that is 4 or 5 new fences being built since the lots lines were established. Over the years, fences have been built to skirt large trees and other objects. Additionally, there is no guarantee that each subsequent fence was built on the original property line. The result is that you have some fence lines that are off by more than a few inches. The only way to identify your lot lines with certainty is to have a professional survey done. This usually pops up during a remodel or addition and it is at that time that one property owner discovers that a neighbor has actually captured some of their lot. With the remodel craze in San Carlos, it is no surprise that this issue has surfaced with greater frequency. 5. Small Lots/Topography. One thing we do not have a lot of in San Carlos is privacy. Our lots are (a) very small; and (b) pushed right up against one another. By the very nature of the layout, we are asking for a higher rate of neighbor issues. San Carlos also has many homes with retaining walls which affect neighboring properties. In my opinion, the number one maintenance issue for homeowners in San Carlos is drainage. Changes to the home, landscaping or driveway, can all affect run-off, but surface and sub-surface water flow to a neighbor’s property. Bottom line: the very nature of our smaller lots and topography make the risk of possible neighbor issues even more likely. Again, the vast majority of neighbors work out any issue that may arise. However, in my opinion the amount of incidents and complaints regarding neighbors is up noticeably in our town. 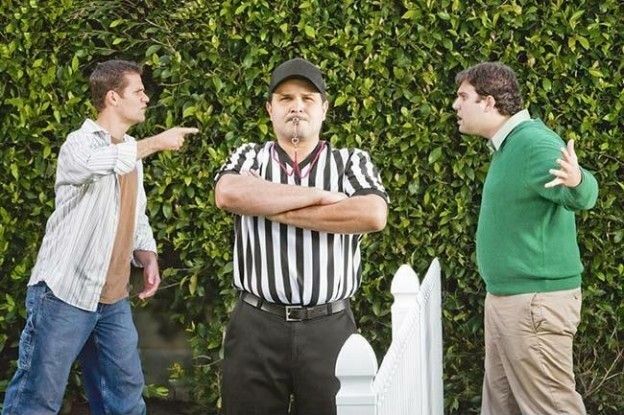 If you do have an issue which cannot be solved between you and a neighbor, remember to act reasonably and seek out all possible remedies prior to taking any legal action. After all, they are your neighbors.